Hong Kong anti-pollution activist Anthony Hedley said today he has decided to relocate to the Isle of Man because his health makes staying too risky. Hedley, a 69-year-old professor at Hong Kong University’s School of Public Health who has also battled cancer for the past two years, is leaving Hong Kong after 22 years, during which he was a frequent critic of the government’s environmental record. His decision to leave on May 1 comes just weeks after Hong Kong’s Air Pollution Index reached record levels, hitting the top of the scale at 500 and prompting an outcry by business leaders and residents about deteriorating air quality. Hedley said his departure will give him regrets about the people he is leaving behind. “I feel bad because so many people don’t have this option,” he said. He said socially mobile people are increasingly “voting with their feet,” by leaving Hong Kong for health reasons. “It is indeed a sad irony that one of those most committed to alleviating Hong Kong’s air pollution now has to leave the city primarily for that reason,” the Clean Air Network, a local non-governmental advocacy group, said in a statement today. When Hong Kong’s Air Pollution Index tops 100, it prompts government warnings that people with heart or respiratory illnesses should reduce physical exertion and outdoor activities. That is twice the level of 50 considered safe by the World Health Organization. Levels above 200 in Hong Kong trigger warnings for the general public to reduce physical exertion and outdoor activities. Pollution is often cited as an issue for companies attempting to attract workers to the city. Chief Executive Donald Tsang in January called it unacceptable that air quality reached “dangerous” levels one in every eight days last year. Florida juries and a Court of Appeal have help make March and April of 2010 two months during which tobacco companies are being held accountable for their massive, reprehensible misconduct that has wreaked havoc on the lives of Florida residents. In the most recent case, a jury in Gainesville on April 21 rendered a $10 million compensatory damages award and an $80 million punitive damages award against R.J. Reynolds Tobacco Co. in the Townsend case. The jury assessed 51% responsibility to RJR and 49% responsibility to Mr. Townsend. The apportionment of liability is possible through the legal doctrine of comparative fault which permits a defendant to be held liable for the portion of the harm it is responsible for in situations where the plaintiff bears some of the responsibility as well. Thus, if the verdict withstands appeal, the plaintiff will receive $80.5 million. March 10. 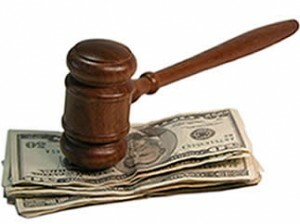 A jury awarded $5 million compensatory damages award to the plaintiff in the Douglas case. The jury assessed 50% responsibility to the deceased smoker, 27% responsibility to Liggett Group, 18% responsibility to Philip Morris, and 5% responsibility to R.J. Reynolds. Thus, if the verdict withstands appeals, the plaintiff will receive $2.5 million. March 12. A jury in Gainesville awarded $5 million in compensatory damages and $12.5 million in punitive damages against R.J. Reynolds in the Hall case. The trial judge later reduced the total award to $15.75 million. March 17. The Third District Court of Appeal upheld the $24.8 million award to John Lukacs, a longtime smoker who died of cancer shortly after his 2002 trial. The defendants in that case are Philip Morris USA, Brown & Williamson and Liggett Group. March 24. A jury in Fort Lauderdale awarded $10 million in compensatory damages and $20 million in punitive damages against Philip Morris and R.J. Reynolds in the Cohen case. The jury assessed one-third responsibility to Mr. Cohen, Philip Morris and RJR; thus, the total award to the plaintiff, if the verdict withstands appeals, will be $26.6 million. April 13 and 14. A jury awarded $3.5 million in compensatory damages and $18 million ($17 million against R.J. Reynolds and $1 million against Liggett Group) in punitive damages to the family of a longtime smoker in the Clay case. The jury assessed the smoker as 30% responsible, R.J. Reynolds 60% responsible and Liggett Group 10% responsible. Thus, if the verdict withstands appeal, the plaintiff will receive $20.45 million. “This ever-growing list of plaintiff victories in Florida constitutes a trend with a capital ‘T,’” said Edward L. Sweda, Jr., Senior Attorney for the Tobacco Products Liability Project (TPLP), a project of the Public Health Advocacy Institute, which is based at Northeastern University School of Law in Boston. “The tobacco companies must soon re-examine their policy of not settling these ‘Engle progeny’ cases, since many more trials are scheduled in the upcoming weeks and months,” Sweda concluded. The Tobacco Products Liability Project (TPLP) is a project of the Public Health Advocacy Institute, which is based at Northeastern University School of Law in Boston.